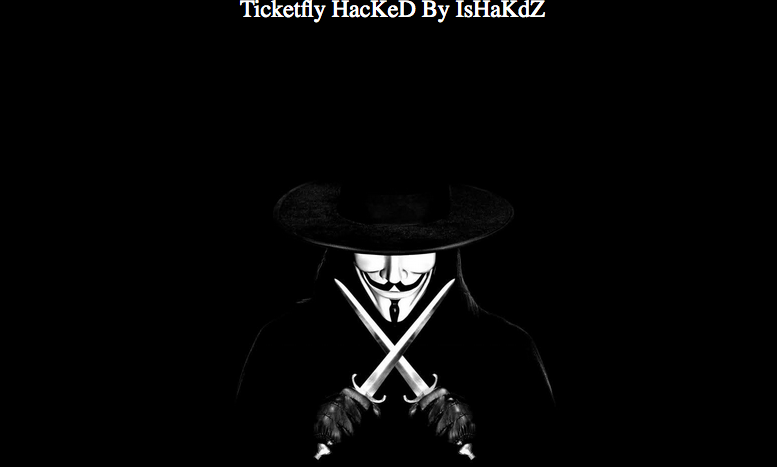 The Ticketfly website was defaced with a message that read, “Ticketfly HacKeD By IsHaKdZ. Your Security Down im Not Sorry. Next time I will publish database ‘backstage’ (sic).” The defacement page also included links to files containing personal information, such as names, physical addresses, phone numbers and email addresses. The data breach also seems to impact some music venues, whose websites also displayed the same message from the attacker. On its support website, Ticketfly said the hacker gained access to customer and client information. As a result of the incident, individuals who have purchased tickets via Ticketfly will have to print them out and bring a photo ID to the venue hosting the event – venues will be provided printed guest lists. People who have not purchased tickets themselves may need to show the original payment card used to buy the ticket, a copy of the original buyer’s ID, and an authorization note from the original buyer. “Our investigation into the incident is ongoing. We’re putting all of our resources to confirm the extent of the unauthorized access. We're committed to communicating with all customers once we have more information about the scope of the issue,” Ticketfly told customers. According to Motherboard, the hacker initially attempted to report the vulnerability to the vendor and asked for the payment of 1 bitcoin in return for the information. Since IsHaKdZ did not receive a reply from the company, he decided to exploit the flaw. Motherboard confirmed that at least some of the thousands of records stored in the files leaked by the hacker are valid. The incident reportedly impacts Ticketfly customers and employees, and staff at music venues.